Fully Customized Design Services and Project Management for Commercial, Residential, Industrial, and Hospitality Projects. Established in 1998, Shannon Nicole; Principal/Designer has been working independently with clients and a team of other trade professionals to create and expedite the design including the sourcing and procuring of materials. Services also include consulting for Architects and Builders personal projects and those for their clients as well. Ben Trogdon Architects is a residential design practice founded on the belief that each project presents a unique combination of characteristics contributed by the client and by the project's specific location. We strive to design buildings that respond to and enhance both the man-made and natural environments. Our projects are diverse. They range from custom homes and major remodels to small additions and special pieces of furniture. We offer advice on color, lighting, and finish materials. There is no typical project in terms of size or complexity. Rather, our projects are characterized by the use of indigenous materials, sensitivity to natural light, and a respect for existing environmental conditions. Our strategy is exceptional communication with our clients. We believe listening is everything. We ask insightful questions. We get to know your needs and hopes and we adopt them as our own. We continue listening; we keep asking. And we strive to respond - with imagination, discipline and spirit. We are a full service architectural & planning firm. 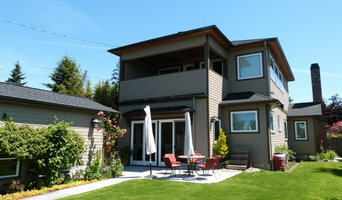 Home upgrades, new residence, site planning, bathroom & kitchen improvements, deck & additions, interiors can be provided. We also provide preliminary feasibility with planning / schematics and cost support as well as code and permitting assistance. We primarily serve Pierce and Kitsap Counties but have provided services in most Puget Sound counties and cities. How do I find the best Indianola architect for my home design project? It is best to hire a home architect who will be involved in all phases of the design process, from the initial concept to the completed construction. The architect is often the first person you will hire for your project. If necessary, they might also help you select and hire Washington subcontractors, which can include the builders, engineers and landscaper. Interior architects are also involved in negotiating contracts for all involved participants. It is for these reasons that it is extremely important for you to have a good relationship with the Indianola residential architect you hire. He or she can be the tie-breaking vote between you and the general contractor and can be your biggest advocate during the construction process. Different architecture firms in Indianola, WA provide different services, so the scope of the work can span from pre-design environmental impact studies to selecting furniture and finishes, depending on what your specific needs are. It is very important to hire the right professional for the job. Remember that the most well-known or established designer might not provide the best architectural services for your needs. It all comes down to the individual project. Research and ask people whose work you like for recommendations. It's important to have somewhat of an idea of the style of house architecture that you prefer, as well as the amount you would like to spend. 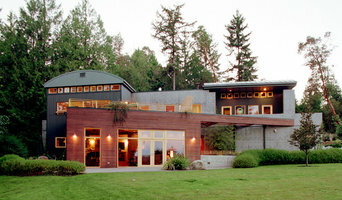 Residential architects in Indianola, WA are natural problem solvers. They will assess the entire situation and help you to solve your problems too. Don't settle for a single company too early. Call and interview a few. Make sure that you feel like your personalities will mesh well and that you like their professional perspective. 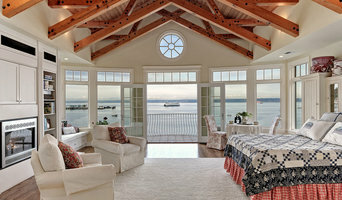 Find a home architect in Indianola, WA on Houzz. 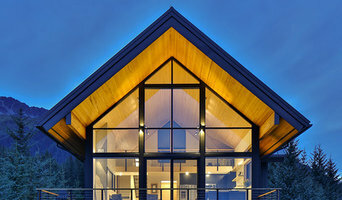 Narrow your search in the Professionals section of the website to Indianola architects. You may also look through photos of Washington projects to find interior architects and building designers who have worked on a project similar to yours.